Happy Thanksgiving to all my Canadian visitors, I hope you have a wonderful day with family and friends. 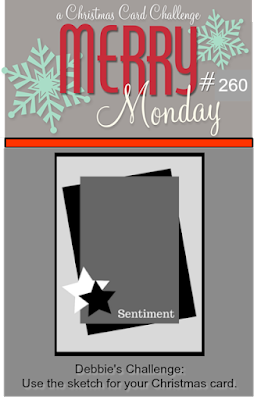 We have a new Merry Monday Christmas Card Challenge for you today, Debbie is our hostess this week and she has a sketch to use for your Christmas card. What a great sketch, I love the layers. I used my stitched die cuts and added a simply stamped sentiment, I finished with gems. The patterned papers did all the hard work. Supplies: White and gold cardstock, Designer Paper - American Crafts, Papertry Ink - Signature Christmas, gems. Stop my the Merry Monday blog and take a look at all the wonderful card created by the Design team. Happy Thanksgiving Nina. Your card is so adorable with your pretty pattern papers. Hope you have a great week. Oh my goodness! Those snowmen are so cute! Wonderful take on the sketch and great inspiration! This is the cutest thing EVER!!!! Love these papers! Darling papers, Nina! Especially love the snowman duo on the top layer!! Really cute card Nina. I love that the snow pattern comes through on the red panel as well as the front panel. And those snowmen are so cute! 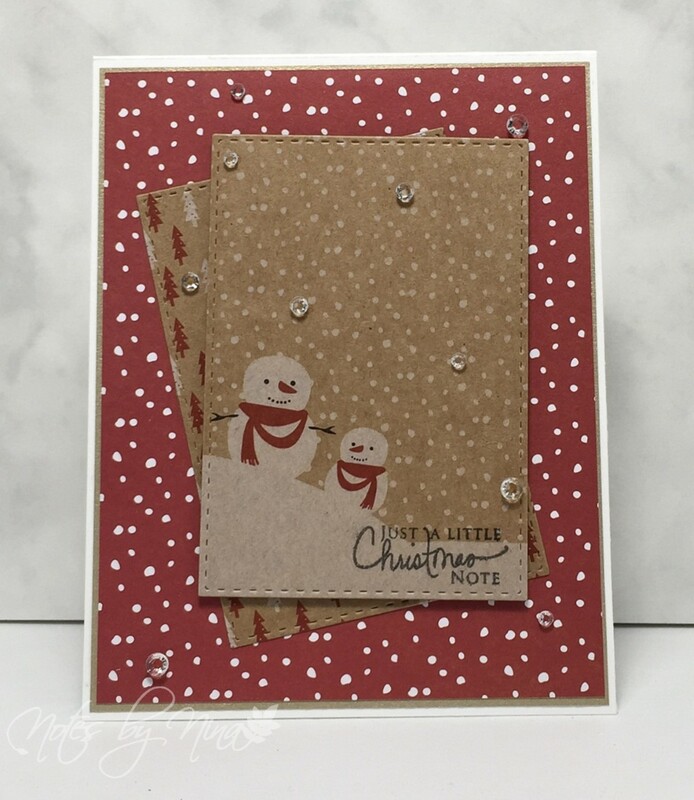 Love the pretty layered papers and those cute snowmen. This is so cute Nina, the stitching really looks great on your layers and those snowmen are cute! Very nice card. Cute snowmen. 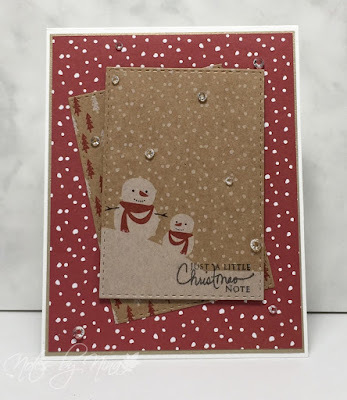 I love the rustic charm of your card;the colors, snowmen and details! Darling!! I am loving that paper - it's SO pretty! Great card Nina! I can't wait to see what you have made for tomorrows challenge!!! !